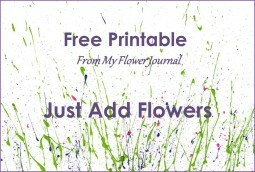 You can make beautiful splattered paint cards and gift tags on blank cards or watercolor paper. 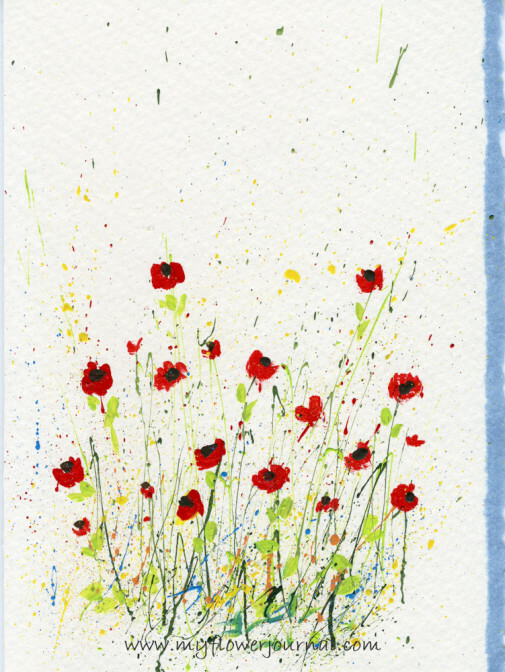 Cards are easier to make than paintings because you don’t need a painted sky or background. I also love the look of the spattered paint flowers on a white background in a frame. Detailed instructions for splattering paint can be found on my previous posts here and here. A video showing how I splatter my paint and some FAQ can be found here. The fluid acrylic paint colors I use are here. 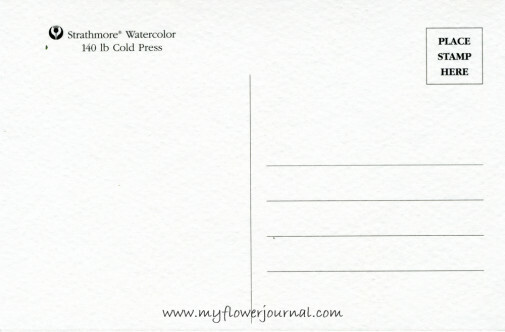 I used Strathmore Watercolor Postcards and Strathmore Deckle Cards. 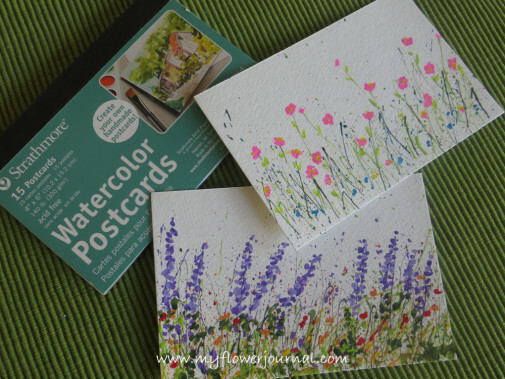 You could even make your own cards out of card stock or 140 pound watercolor paper. 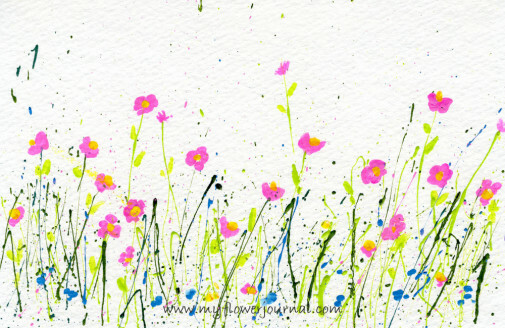 Working on the watercolor paper if you get a blob or splatter of paint you don’t like. Let it dry completely then use an exacto knife or something with a sharp point to scratch it off. Its important to keep the back of the cards clean during the splattering paint process. 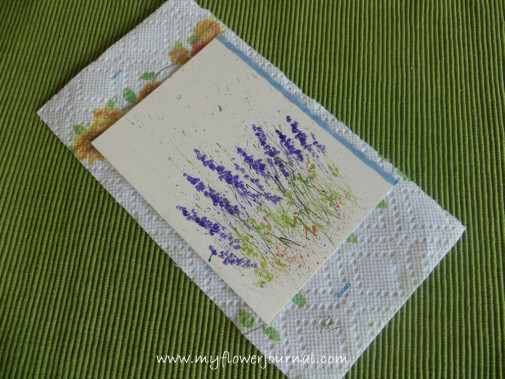 I placed each on a paper towel and and held the edge of the paper towel to move the card from the painting area to a safe place to dry. Card made from 5 inch x10 inch watercolor paper folded in half. These 4 x 6 Postcards would even look nice in a frame. 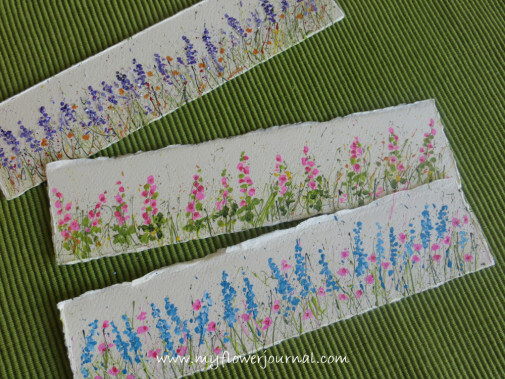 I used scraps (2″ strips) of watercolor paper for the gift tags. I painted them first, then scored them and tore them so they would have a torn edge look. The strip with the purple flowers I sprinkled clear glitter on the paint while it was still wet. It gives it a fun sparkle without detracting from the flower colors. Happy Splattering! The possibilities are endless! Free printable here. 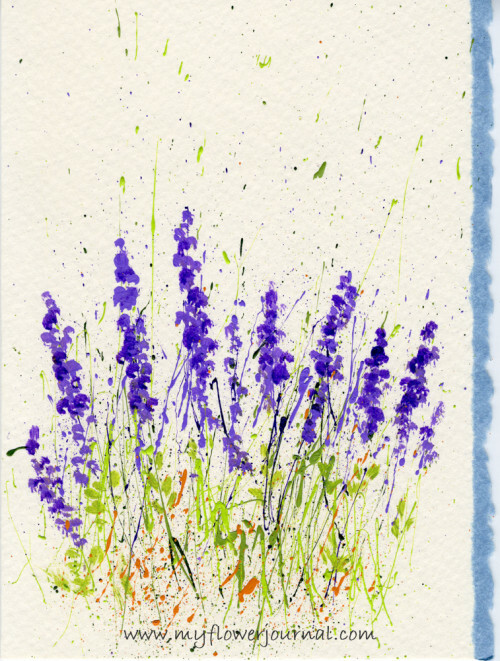 Just add flowers to make your own cards. I’m so in love with these! Just gorgeous! Beautiful! Thanks for sharing this at our Summer Bucket List Link Party! Keep those ideas coming! We’ll be partying through June! 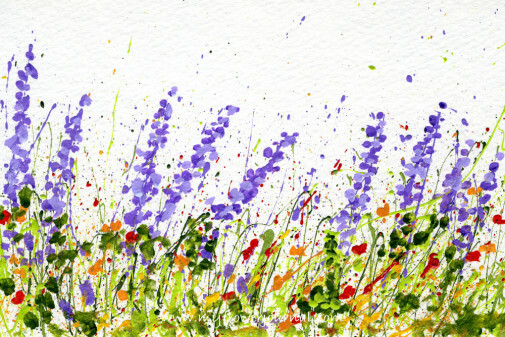 I just found your blog and enjoyed reading all the posts about splatter painting. You make it look so easy but I’m betting that it takes a bit of practice to have results as pretty as yours. I especially like the cards. I know anyone who receives one of them would treasure it because they really are works of art! Peg, Thanks for visiting! You are a very talented artist. 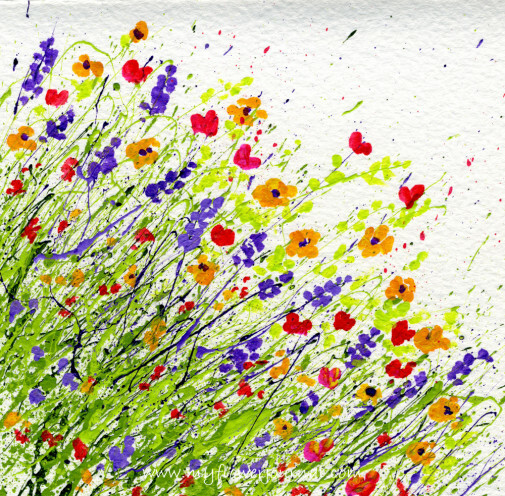 I’m sure you could do a splatter painting with little effort. I also enjoyed reading about your farm and all the work that goes into it. enJOYed looking over your work. Your tuts make it look so easy, but somehow I just don’t think I can spatter as nice as you. I can see a possible way to make me some wrapping paper. 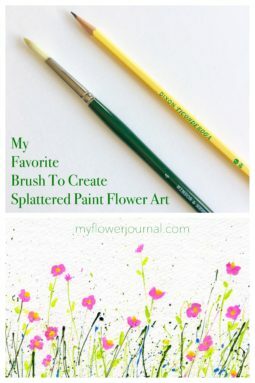 I’m so happy ,I’ve just found your blog from reading StoneGable tutorials.& loved your tutorial on splattered paint flower cards. 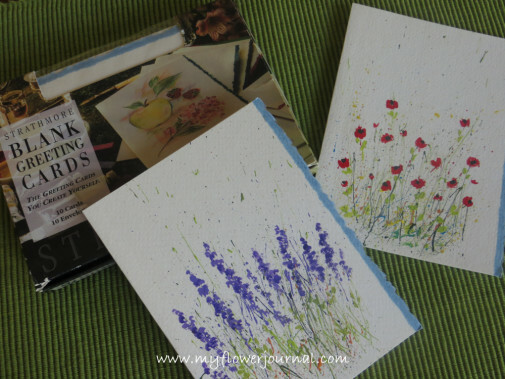 I’m a novice to watercolour painting, so think I’ll have a try at the cards. I get over awed when I try to paint on a large piece of paper. I really like your splatter flower techique and I can’t wait to try it out. 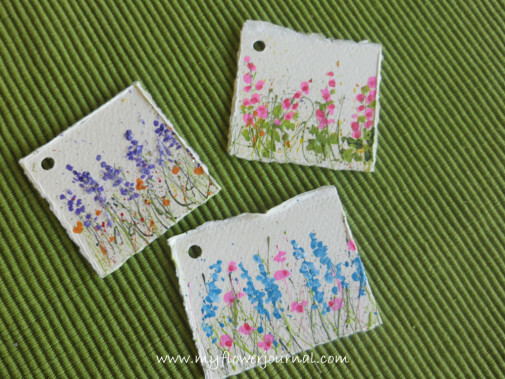 I have one question, did you use watercolor or acrylic paints for your cards and tags? They are wonderful!!! Thank you so much for sharing through your blog!!! Great. 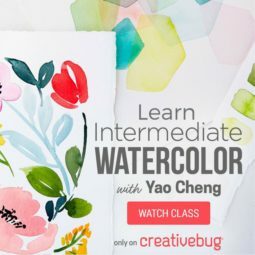 Perfect for the artistically challenged, like me! Thanks for your comment! Have a good day.